In this busy life, it is challenging to manage time for everyday jobs and tasks. Everyone is busy with the daily routines, and we couldn’t manage our time effectively. Some of the time is wasted when we forget our important tasks which make us less productive. Today, where everyone is running to do the best in his life, we cannot afford to waste our time which can lead to a significant loss in life. Basically, the problem is not with our time. We have enough time to do the tasks which are required on a daily basis. All we need is time management apps which can make us more productive. Today, we will discuss some best time management apps which will make the best of your time. If you want to manage your time effectively to do most of your jobs on time, have a look at the apps listed below. Wunderlist is a great app which can help you to manage your time. Whenever it comes to managing the time effectively, people try to find the best app which could help them. So here is one of the best time management apps named Wunderlist. It is a goal-oriented app which can help you to track your jobs and to complete your goals. You can make a to-do list, and Wunderlist will help you manage your time while reminding you with the notifications. You can add dates to your tasks, you can set different dates as well as mention time to complete them. You can assign tasks to different reminders. 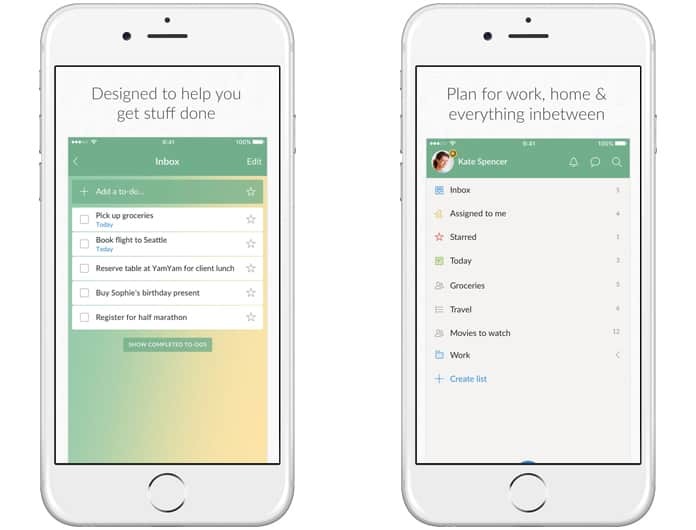 In other words, Wunderlist is a complete package for you to manage your time effectively. 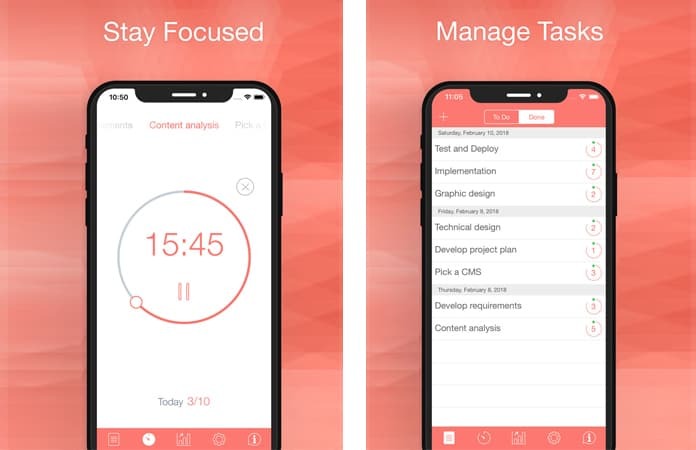 Focus Booster is a web app which can allow you to manage your time to boost your productivity. You can use this on both of your iOS, Android and Windows web browsers. If you want to manage your time for your jobs but you don’t want to install an app on your device, Focus Booster is the best for you. 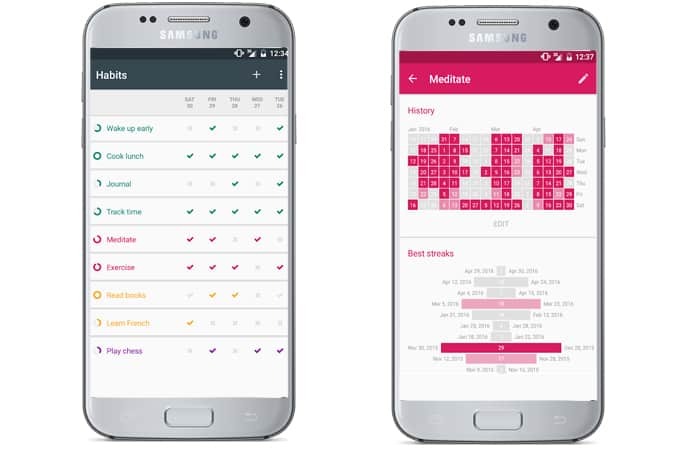 With Focus Booster, you can view your daily, weekly and monthly productivity based on the tasks you assigned to it and your completion rate. You can also add some other data in it like your revenue details and the work information which is required to keep the tasks in mind. 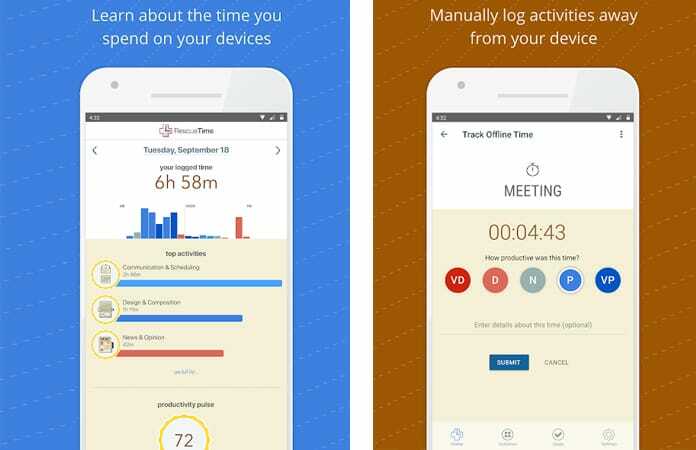 it means you can easily manage your time with this app. 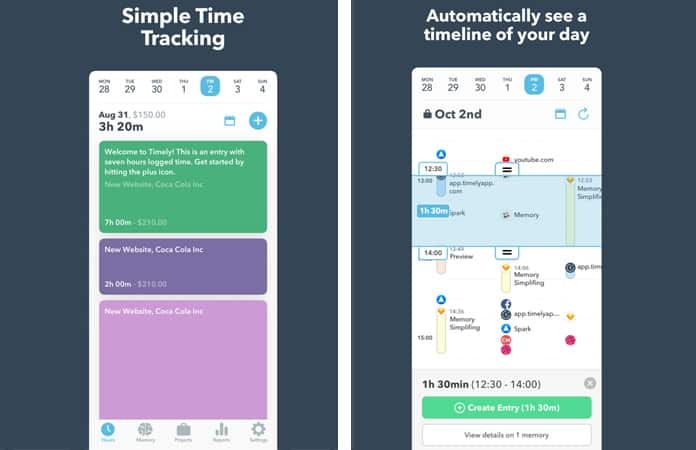 Timely is a time tracking app with a lot of features in terms of time tracking. You can use this app on your iOS device as well as on your web browser. In this app, you can add the tasks which you need to do in the time. You can also add the information about each task including the time, date and priority. After that, Timely will give you an estimate of the time required to do all the tasks. Hence you will be able to keep an eye on your tasks on a daily and weekly basis. You could also complete a project by ending its time when it is completed. RescueTime is an amazing app that beast most of the time management apps in the market right now. It has a unique way of working which lets you know how much time you are spending on which things. In other words, this app will tell you how much time you spent on your jobs. It also includes how much time you spent on which websites, on which apps, games, and other tools in your device. At the end of the day, you will be able to view the states regarding your usage. In this way, you would be able to remove your distractions and work on the things you want. Shortcuts is an amazing app regarding time management. It is available for iOS. 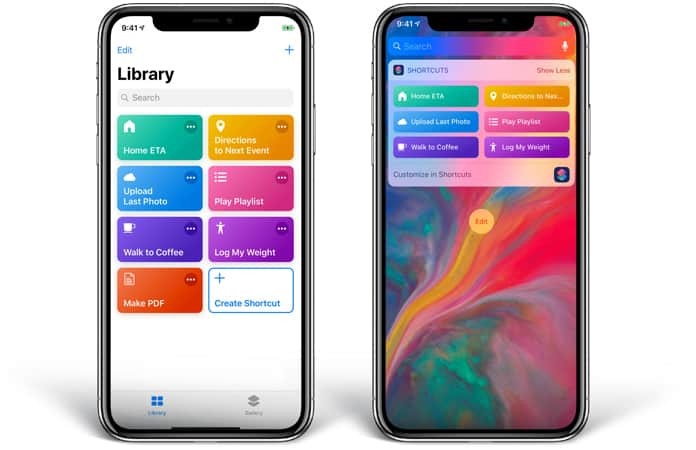 With Shortcuts, you can easily manage all of your complicated tasks on time. The best thing about Shortcuts is its way of working. You can add shortcuts to your home screen which will remind you about the tasks which you need to do in time. Also, Shortcuts will allow you to set customizable reminders so that you could remember which task needs to be done on which time. 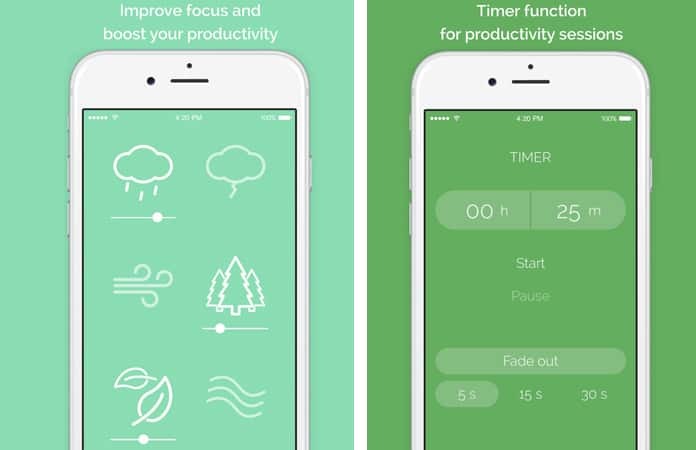 With more than 200 actions, this app is one of the most popular apps on the App Store regarding time management. Loop – Habit Tracker is an app which gives you more of the way to spend your time on the things you want. You can easily get the suggestions about how to spend time efficiently. You can also set the habits which you have, and this app will give you the best way to spend your time. Loop – Habit Tracker is also great while achieving the goal. In simple words, it will allow you to track your goal by doing the habits which you put in the apps and monitoring your progress. Another great thing about Loop – Habit Tracker is its presets that are very helpful while achieving a goal. Whether you want to become fit or your goal is to learn a new skill or language, this app will always help you to do your best. It will also give you meditations and physical habits that will improve your goodwill which leads to better achievement and productivity. 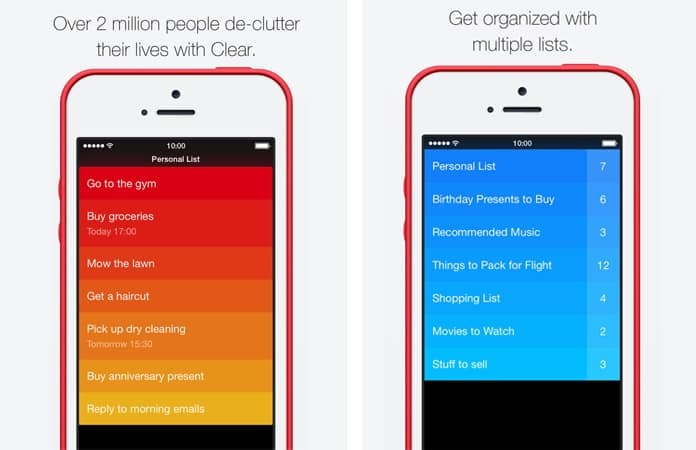 Clear Todos is amazing to do list app which can effectively increase your productivity by managing your time. In this app, you can create a list of tasks which you want to perform, and it will remind you. Another great feature of the Clear Todos app is its auto reminder. If you work on a task on a daily basis, you need not to worry about setting up the tasks every day. The app will automatically remind you about the goals and tasks every day. It means you only need to set your goals once and then you can manage your routines. After that, you will be reminded every day. Clear Todos app is available on iOS, OS X and Apple Watch. Besides all of its cool features, Clear Todos provides the list of the tasks with colorful designs that make the app stunning and beautiful. When it comes to managing time, everyone talks about getting the things done at the right time. However, effectively spending time on different things is also a great way to manage the time. It is not always needed to be busy all day long. Sometimes, you need to take a break from your daily routines and do something unusual. It helps you in numerous different ways. For example, reading an article could help you to boost your mind. You could also get some information by spending some time on article reading. Similarly, doing some exercise is an excellent example of managing your time. Doing such activities is crucial for your daily routines as these boost your mind and prepare your body to work effectively even in hard and tough time. If you want to indulge in some of these activities, Be Focused is the right app for you. You can save articles in this app and read them later whenever you want. The best part of this app is its offline working. So, you don’t need to connect your phone to the internet every time you want to read the articles. It is perfect for some specific situations like traveling. Besides managing your time effectively, there is an app called Noisli which can help you to focus on your goals. Freedom is an app which allows you to block the stuff on the internet which distracts you. In other words, while working on your laptop or mobile, you can use the Noisli app to block unwanted sites and apps. It will then prevent you to access the blocked sites while in the work period. So, it will work just like a person who is preventing you from accessing the distrustful sites while working. It is a fantastic app which comes with a lot of features. You can add different websites and apps to this application. You can also set the time of your work so that it could block the sites and apps for that time period. 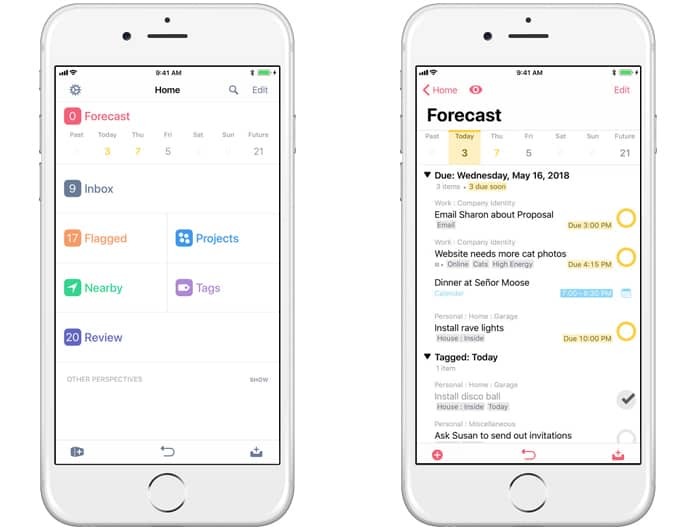 OmniFocus is a time managing app which is available on iOS and Mac. 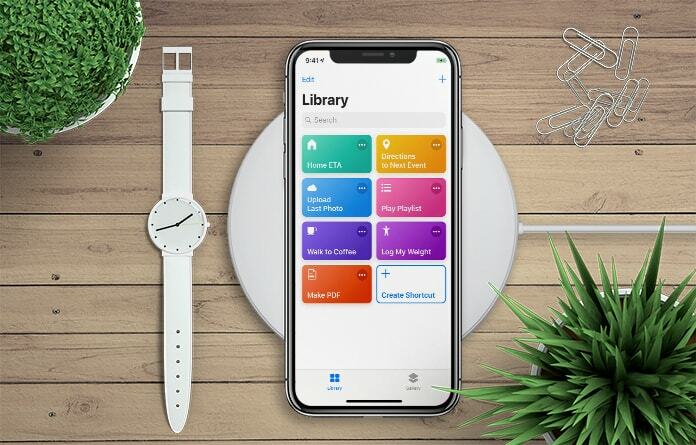 You can buy this app if you desire to manage your time and tasks. This app allows you to add your tasks on the calendar and it will remind you about the tasks before time. You can also view your schedule to check all the work which are completed and which are due. OmniFocus remind you about your jobs after some specific time. However, if you want to change the remind time, you can do that too. Simply change the remind review time in the app, and it will remind you about the jobs after your provided intervals. Now you can manage everything in your busy life. So which one of these time management apps do you like? Write your thoughts in the section below.